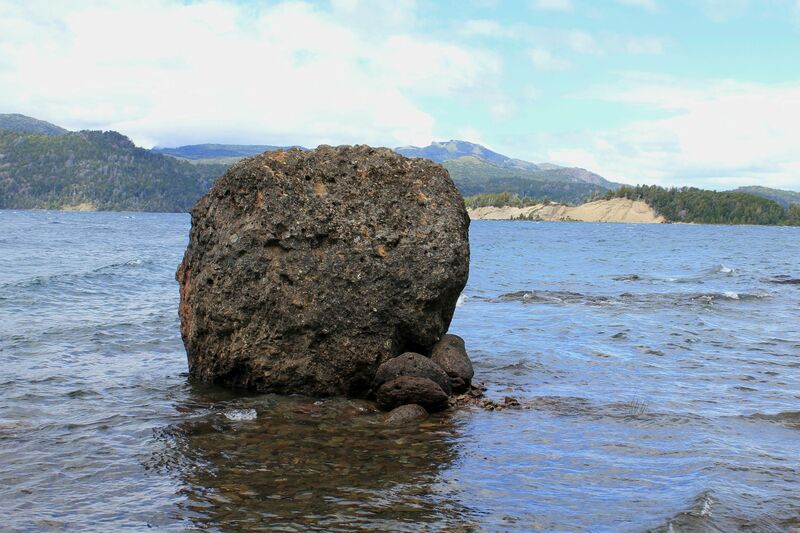 Victoria Island - discover the hidden beauty of nature in the middle of the Nahuel Huapi Lake in Bariloche Lake District, Patagonia. The most notable structure on Isla Victoria is certainly the Victoria Lodge – an impressive wood and stone building located on the 65 m (200 ft) cliff overlooking the Nahuel Huapi lake, remote Andean peaks and the lush coihue and Patagonian cypress forests. The original structure dated from 1946 was completely destroyed by fire in 1982. The new Victoria Lodge designed as a replica of the old building was re-opened in 2002. The lodge offers quietness of this secluded area isolated by waters of the Nahuel Huapi lake from the hectic world you most likely came from. Can you think about something more spectacular and romantic than a sunset firing-up the evening sky over the blue waters of the lake and peaks of Tres Hermanas? Magic place - if I’m not mistaken in the whole lodge there are only 14 rooms for rent! Is it easy to find something better than that? I cannot resist mentioning that food offered by the lodge cuisine matches the beauty of this idyllic place (actually exceeds expectations). On the other hand lodge offers plenty of actions for those hungry of active “pass-time” - be it guided trekking, mountain biking, horseback riding and all kind of water-activities. Worth of mention is a beautiful beach called Piedras Blancas for its surface covered with small, white stones smoothly rounded by erosion. Forms of stunning beauty on the island's shoreline..
Today the Isla Victoria is mostly covered by native coihue and Andean cypress forests. There are small pockets of arrayan (myrtle) trees, as well as other native species like maitenes, radal, ñire, laura, arrayán, and patagua. The central (touristic) part is an exception witnessing many foreign trees – remainder of the human efforts from the beginning of 20th century. Birds are omnipresent with woodpeckers (easier to hear than to see), hummingbirds, native geese and rare fresh-water cormorants choosing the island for nesting. From mammals, easiest to spot is red deer, much of luck is needed to see pudu (native dwarf deer – smallest in the deer family) or native rodents like huillin. Lavender added not only colorful accent to the island's landscape but also spread its characteristic, calming aroma. On the right - blooming arrayan (myrtle)tree. View from the Victoria Island on the waters of the Nahue Huapi lake and the surrounding mountains.